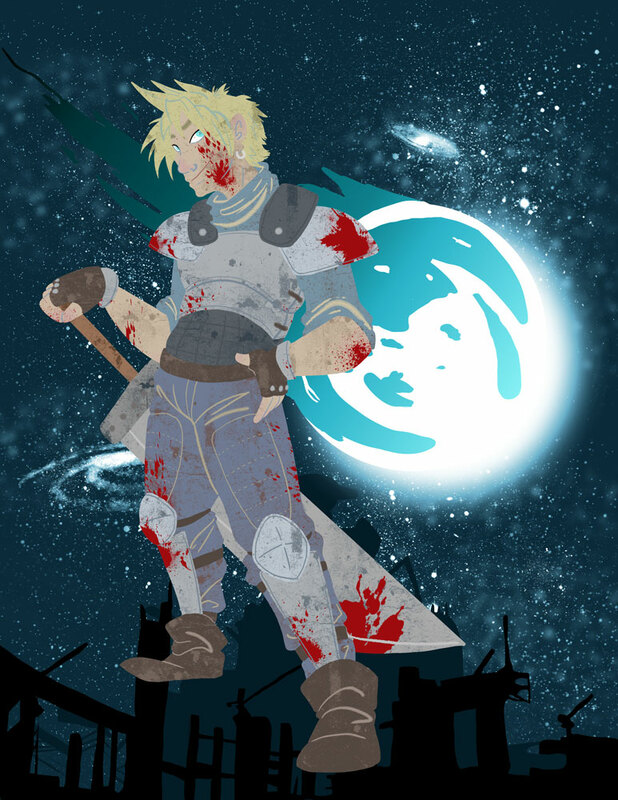 I've always been a big fan of FFVII for as long as I can rightly remember. Earlier today I stumbled across a meme that had you google search animated gifs of your name. My real name didn't turn up anything interesting, but my screen name, turned up lots of anime and lots of Cloud. Particularly because my screen name has "Strife" in it, because I was such a big fan and that's what I named myself after when I was twelve years old. That was super fun, to revive a character I've known and loved for over ten years. I've never seen cloud as the broody anti-hero he's usually read as, so I drew him how I always felt he behaved. Ah, and I gave him some more armour, because I like adding armour to characters I feel are underprepared.